Built in 2001 from an old sewing factory located in the heart of Union City, NJ (once known as the embroidery capital of the world), studio owners Randy and Amy Crafton, and studio veteran Sal Mormando, founded Kaleidoscope Sound on a simple premise: All music, no attitude. At Kaleidoscope, you’ll meet a talented staff of professionals, all of whom are dedicated to helping you realize your musical dreams. Whether you’re recording a major label album or an Indie project, Kaleidoscope’s perfect mix of cutting-edge technology and perfectly maintained vintage gear is capable of recording everything from the most intimate singer-songwriters to large bands and 25 piece orchestras. 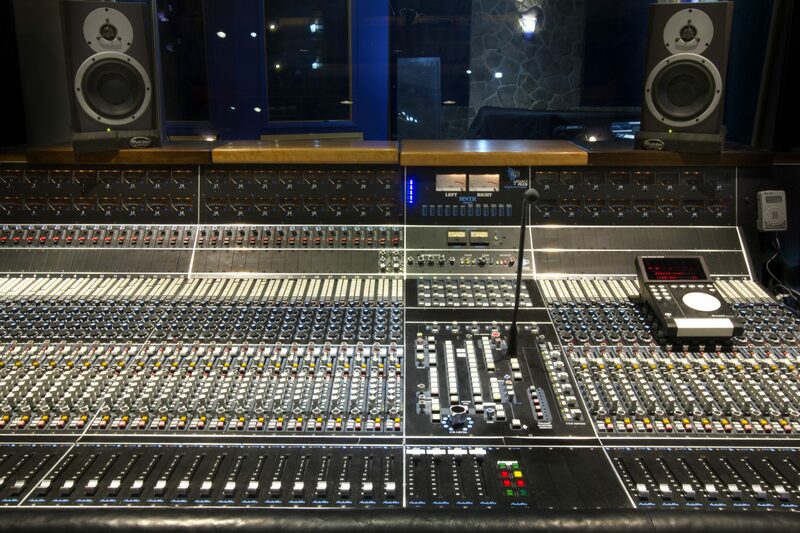 Just minutes from Manhattan, but a world away from the noise, pressure, attitude and sky-high prices of the city, this state-of-the-art, 2000 square foot, dual-studio facility is home to a 48-channel API Legacy Plus console, 2″ 24 track Otari tape machine, an impressive collection of new and vintage microphones (Neumann, Schoeps, AKG, Coles), outboard gear (Neve, Urei, Telefunken, Manley), amps (Gibson, Marshall, Fender, Orange), rebuilt 1909 Steinway B Grand Piano and various other instruments. Kaleidoscope is a smart, refreshing alternative to your average studio, a down-to-earth setting where you can get great sounds, and record and mix with total flexibility, all at reasonable prices. When you call to confirm your session we will give you directions to get here. We are easily accessible via public transportation, car, and even ferry-boat. There are also hotels nearby.